Kolkata: Six days since Calcutta High Court lawyer Rajat Dey was found dead in mysterious circumstances in his New Town flat, his widow today claimed to police that Dey hanged himself. Anindita Pal Dey, the widow who too is a lawyer in the HC, told police that she did not report her 34-year-old husband’s “suicide” earlier as she got “frightened.” Today she made the delayed revelation on being summoned to New Town police station for questioning. Police had on 26 November registered an FIR for unnatural death after Dey was found dead in his New Town DB Block flat late previous night. 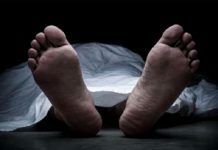 The FIR was converted into a murder case on Thursday after post-mortem report said that Dey died due to the choking of his windpipe and there is a fine mark on his neck indicating the tying of a rope or similar thing. Since during the visit to the flat, police did not find any rope or similar thing that chocked Dey’s windpipe, they added Section 201 of the Indian Penal Code pertaining to destroying evidence. Dey, his wife, their minor daughter, and a pet dog used to live in the flat. Significantly, on the day of Dey’s death, Anindita had sent their child and pet to her parents’ house, sources said. Police have also found out that on the night of the incident, the couple went out for dinner together but returned home separately. 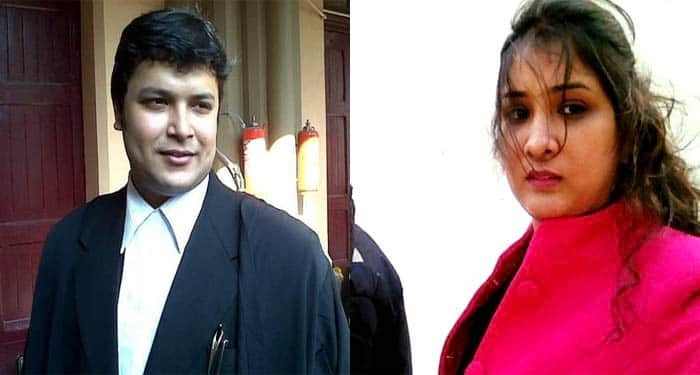 In her earlier statement, Anindita had told investigators that she went to bed that night after having a long telephonic conversation with someone known to her and Dey was in the next room. On waking up at midnight, she found Dey lying unconscious on the floor. 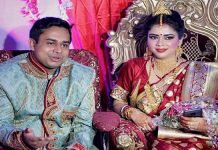 It was her brother Avik Pal who had phoned Dey’s father Samir Kumar Dey saying that his son had fallen from the bed and had been critically injured. By the time, the father reached from his north Kolkata residence, his son was lying dead on the floor and the entire flat was in a devastated state. Curiously, neither wife Anindita, nor brother Avik or anyone else was in the flat then. The aged father had to call ambulance and police to take his lawyer son’s body to hospital. On this, Anindita today told police that she got so “frightened” by her husband’s “suicide” that she took shelter in a neighbour’s flat. Police are checking Anindita’s call list as it is her long conversations that apparently created a discord with her husband. A male doctor friend of Anindita is also under scanner even as police have sent Dey’s viscera for test to ascertain the exact cause of death.